Today Oracle reported its fiscal second quarter financial performance, with revenues of $9.1 billion and earnings per share of $0.64. Analysts on the street had expected revenue of $9.02 billion, and earnings per share of $0.61. Those earnings per share figures are non-GAAP figures. On a GAAP basis, the company earned $0.53 per share, a rise of 24 percent year over year. During the quarter, the strengthening of the US dollar knocked about a cent off the firms GAAP and non-GAAP earnings per share. Using GAAP figures again, Oracle’s net income rose 18 percent to $2.6 billion. Oracle is up just over 2 percent in after hours trading. In normal trading, Oracle was up over 1.5 percent. According to that market reaction, Oracle performed well, but the amount that it managed to best expectations was minor enough to not warrant a fair spike in its market capitalization. In its release, the company described its performance as “strong and broad,” with each of its geographic regions reporting “double-digit revenue growth in new software license and cloud subscriptions.” Like other enterprise-facing technology firms such as Microsoft, Oracle is looking to subscription revenue based on cloud services as a key driver of revenue growth. Specifically, Oracle praised its acquisition of Sun, stating that “has proven to be one of the most strategic and profitable acquisitions we have ever made.” In the age of the aQuantive and OMGPOP purchases, it’s nice to see a large purchase stay worthy. 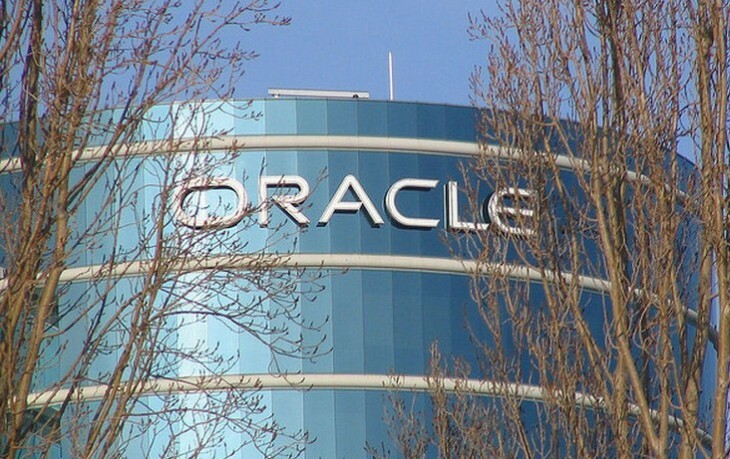 REDWOOD SHORES, CA — (Marketwire) — 12/18/12 — Oracle Corporation (NASDAQ:ORCL) today announced that fiscal 2013 Q2 total revenues were up 3% to $9.1 billion. New software licenses and cloud software subscriptions revenues were up 17% to $2.4 billion. Software license updates and product support revenues were up 7% to $4.3 billion. Hardware systems products revenues were $734 million. GAAP operating income was up 12% to $3.5 billion, and GAAP operating margin was 38%. Non-GAAP operating income was up 9% to $4.3 billion, and non-GAAP operating margin was 47%. GAAP net income was up 18% to $2.6 billion, while non-GAAP net income was up 12% to $3.1 billion. GAAP earnings per share were $0.53, up 24% compared to last year while non-GAAP earnings per share were up 18% to $0.64. GAAP operating cash flow on a trailing twelve-month basis was $13.5 billion. Without the impact of the US dollar strengthening compared to foreign currencies, Oracle’s reported Q2 GAAP earnings per share would have been $0.01 higher at $0.54, up 26%, and Q2 non-GAAP earnings per share would have been $0.01 higher at $0.65, up 19%. Total revenues also would have been up 5%, and new software licenses and cloud software subscriptions revenues would have been up 18%. On December 3, 2012, the Board of Directors declared an accelerated second, third and fourth quarter cash dividend totaling $0.18 per share of outstanding common stock. This accelerated dividend is intended by the Board to be in lieu of quarterly dividends Oracle would have otherwise announced with its quarterly earnings results for the second, third and fourth quarters of fiscal year 2013, and that would have been paid in calendar year 2013. This accelerated dividend will be paid to stockholders of record as of the close of business on December 14, 2012, with a payment date of December 21, 2012.